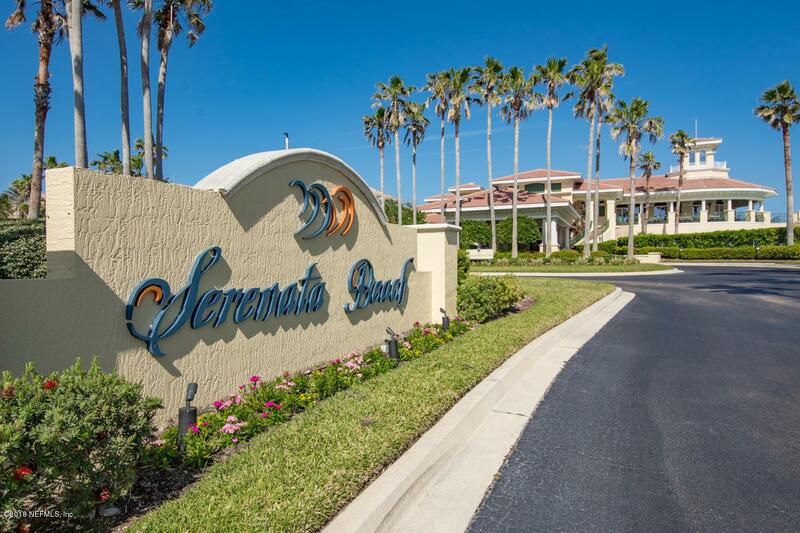 Breathtaking Panoramic Ocean Views in theSoutheast Penthouse!Perhaps the most desirable villa of all in the gorgeous oceanfront Serenata Beach Villas. 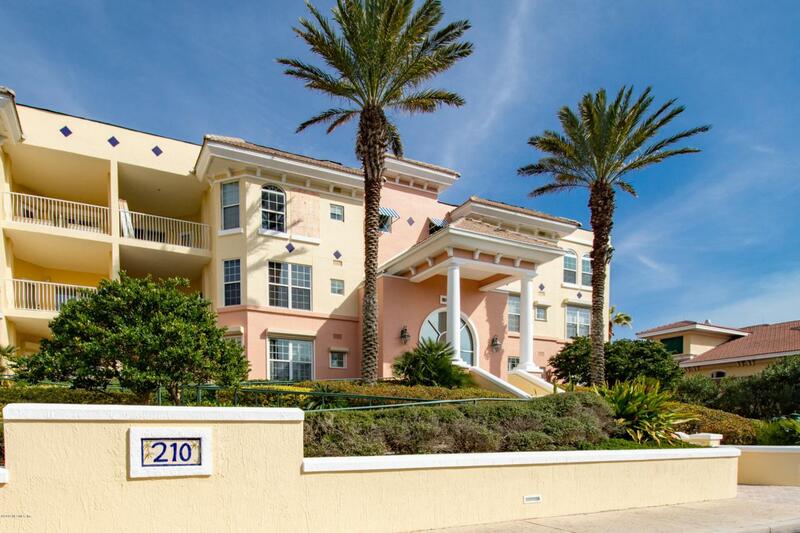 Chosen for its location to capture the best ocean views and for its convenient proximity to the club and restaurant, this 3rd floor end unit is elegant and luxurious. Sand colored Versailles flooring draws your eye to the ocean from the moment you enter. Perfect for entertaining, the spacious living room has high ceilings and an abundance of natural light, plus a fireplace to keep you cozy on those dramatic and cold days. Ocean views are open to the kitchen with a center island and breakfast nook ensconced in windows with beautiful natural light from the south. This villa lives large with all 3 bedrooms ensuite, and an astudy that is perfect for extra guests with its pull down Murphy bed. Exceptionally maintained, with all new hurricane windows and doors, and exterior painting. Exceptionally maintained, with all new windows and doors, exterior painted and 2 new Trane AC systems in 2018 and 2019. This is truly a special home that captures the essence of luxury oceanfront living in the an area perfectly situated between vibrant Ponte Vedra with world class golf and shopping and the historic and artful oldest city, St. Augustine. 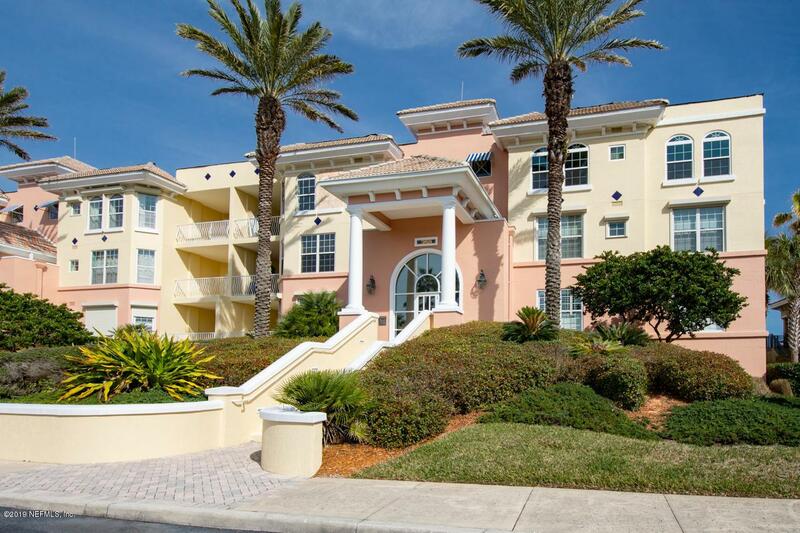 Securely gated with 2 premium parking spots next to the elevator for easy access in the under roof parking garage!